Seriously? OMG! WTF?Jake Gyllenhaal Archives - Seriously? OMG! WTF? 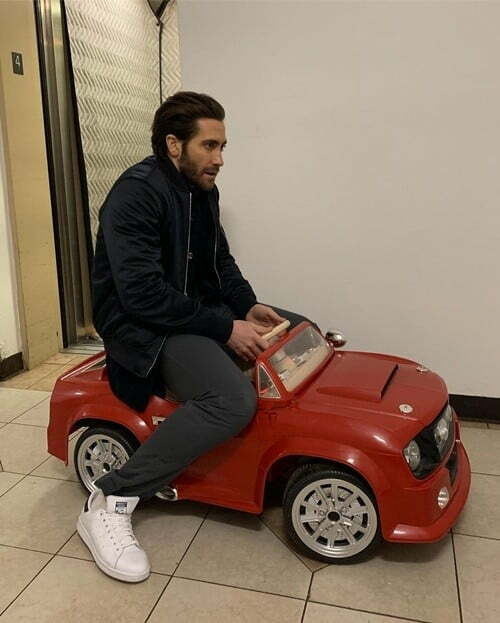 This photo of Jake Gyllenhaal has Caption Me written all over it, so go ahead and do it. Caption Hugh Jackman, Ryan Reynolds and Jake Gyllenhaal! This photo of Hugh Jackman, Ryan Reynolds and Jake Gyllenhaal has caption me written all over it, so go ahead and do it. How has Jake Gyllenhaal never played Spider-Man? In the last 16 years, several actors, who look like Jake Gyllenhall, have played Spider-Man, but none of them have been him. Did the boy in the bubble finally burst out of his web and get the part? Nope. Instead, he revealed today that he will be playing Mysterio in Spider-Man: Far From Home. I guess that mystery is over. Yeah, that joke did not work. Since he is the newest star on Instagram, what we will do next to make his page stand out from the crowd? Hopefully, he will do a Kim Kardashian and pose naked over and over and over again. Someone over at W Magazine wanted to see Jake Gyllenhaal play with some bubble wrap, so he did. Which means we get to watch him doing it during their autonomous sensory meridian response interview. Since it is slow day, I thought you would enjoy watching the Boy in the Plastic Bubble pop some plastic bubbles. And I know you are loving almost as much as when you are the one crushing the real ones. Isn’t that the best thing to do whenever you get a box full of them? Before Jake Gyllenhall was getting around in a bubble in Bubble Boy, he was riding a bike in A Dangerous Mind. How cute was the 11 year old in that 1993 movie? Here he is talking about that his first movie in this Wired interview with Ryan Reynolds.